So I just spent the last hour grocery shopping at Edge of the Woods in New Haven reading labels and trying to find some good local products. This market has a variety of local, organic, vegetarian, and gluten-free items. In the produce aisle they clearly display which veggies are organic and which are not as well as if they are local, USA grown, or grown in another country. Two Guys from Woodbridge sell some stuff in the organic section such as microgreens, sorrels, watercress, arugula, and my personal favorite red butterhead. 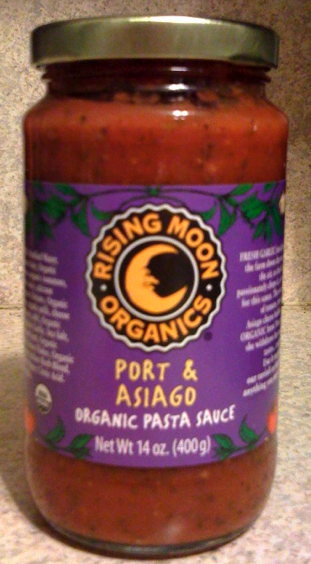 One new products I found today is this organic pasta sauce. I grew extra tomato plants this year thinking I would make and can my own sauce to last through the year, but the blight prevented that from happening. 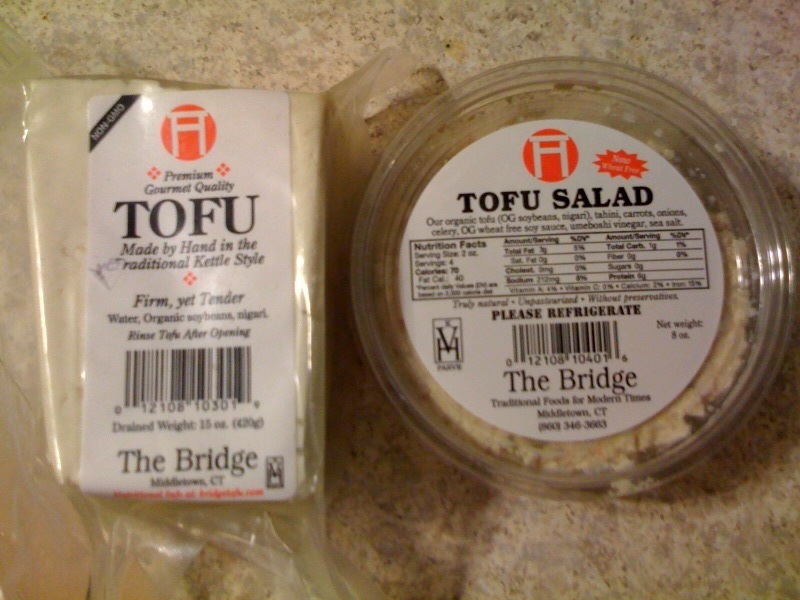 It comes from Rising Moon Organics in Dayville, CT. Their website says they have a corporate office in NJ, but I believe they make and ship the product out from CT. Another item I love to get at Edge of the Woods is The Bridge tofu and tofu salad. The tofu is absolutely the best tasting I’ve ever had. It’s quite firm, but has a wonderful natural flavor and also retains the flavors of whatever you cook it with. This time I also got some tofu salad to try, which is really delicious. Eat it plain or throw it in a pita with some greens – YUM! This store also boasts a variety of other eco-friendly products from cleaning supplies to cosmetics. While I still prefer the farmers markets in the spring and summer, hopefully EOTW will help get me through the winter. Entry filed under: Products. Tags: Connecticut, Edge of the Woods, New Haven, Organic, Rising Moon Organics, Two Guys from Woodbridge.